Remember when Piccadilly Gardens had actual gardens? 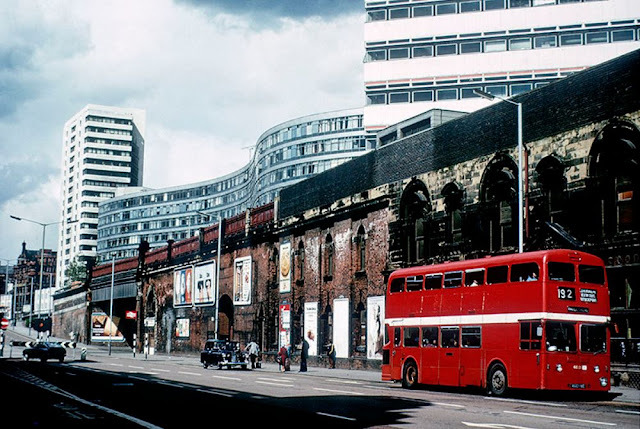 Take a look at some of the highlights from Manchester Metropolitan University's archives and get nostalgic about how the city used to be. View north along High Street from the junction with Church Street in March 1970. 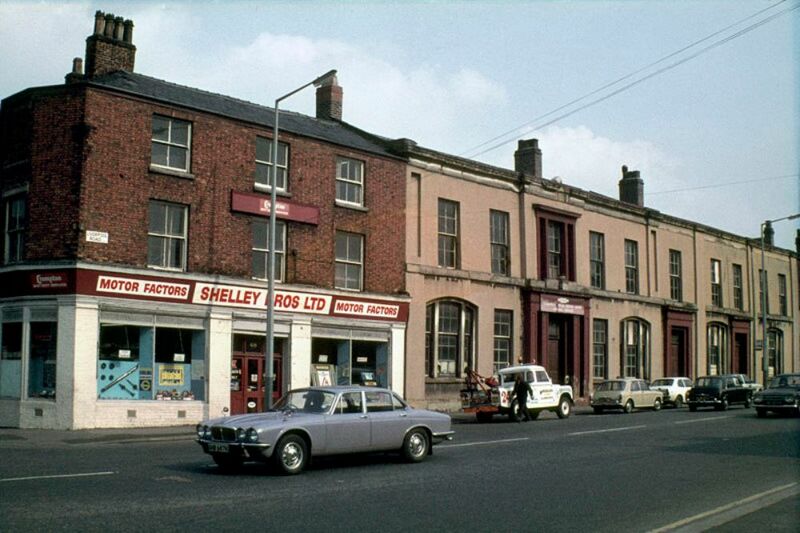 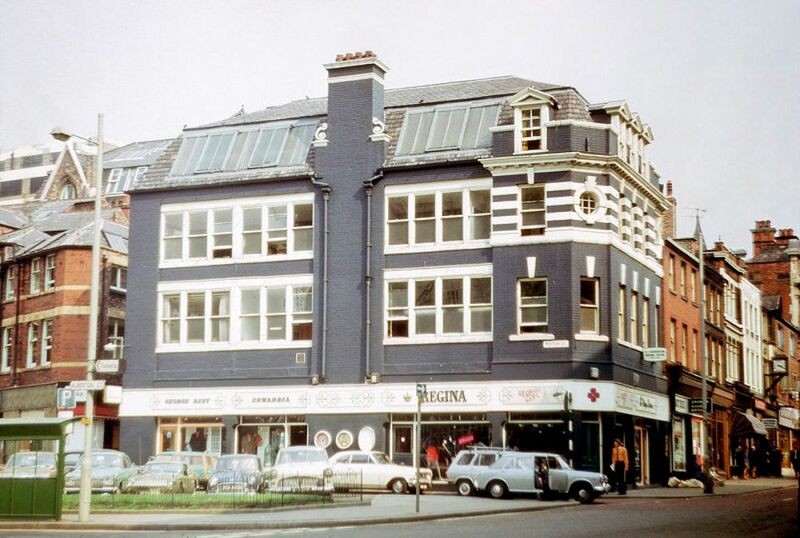 Building at the junction of Bridge Street and Motor Street, including George Best's 'Edwardia' Boutique, 1970. 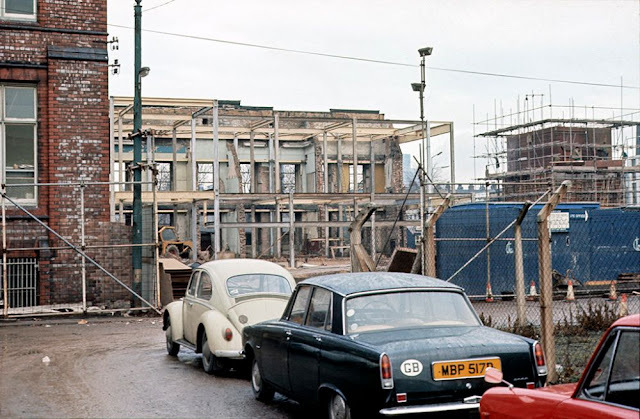 View across the junction of Oxford Road and Booth Street, showing the Unversity of Manchester's Business School and Precinct Centre under construction in 1970. 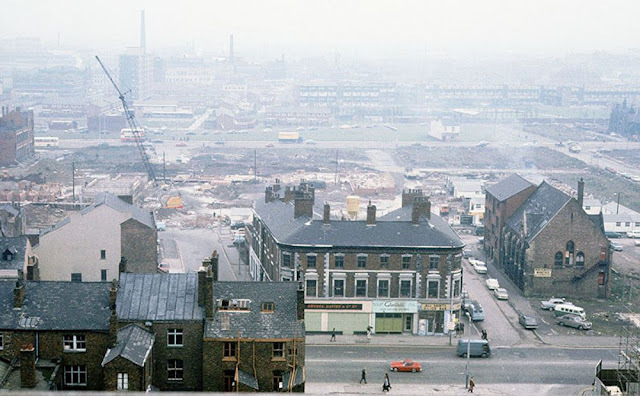 View across Oxford Road at All Saints, looking east from the Chatham Building, November 1970. 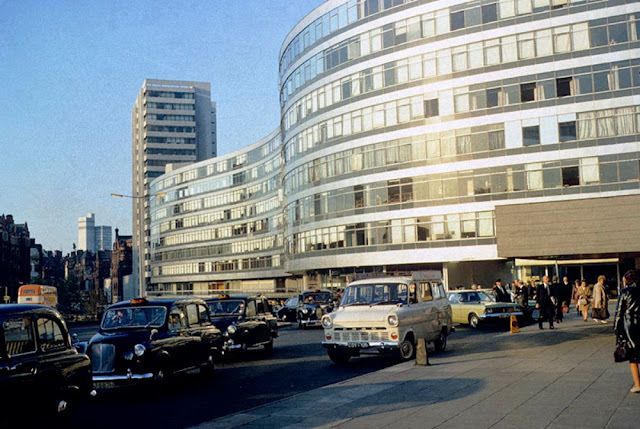 Piccadilly Station Approach and Gateway House, 1971. View of Mosley Street at its junction with York Street in 1972, showing shops in the podium element of the Piccadilly Plaza development. George Best's 'Edwardia' boutique on Motor Street, about 1972. Nineteenth century warehouse buildings on Charlotte Street, around 1973. 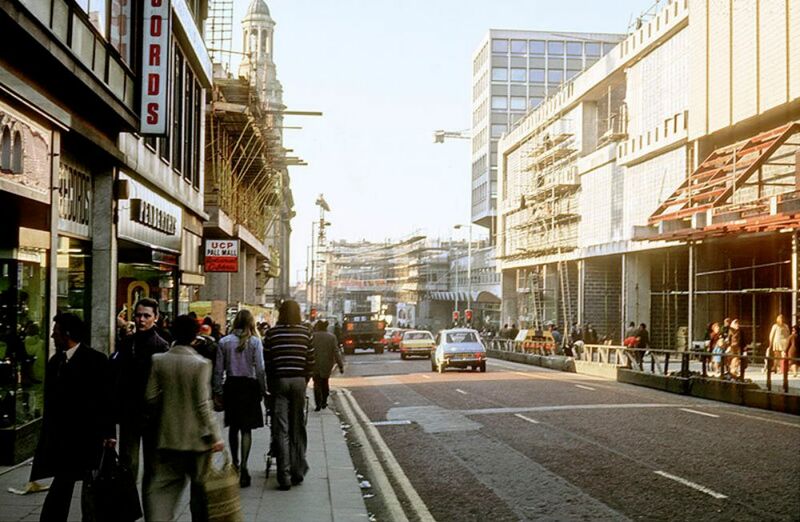 View along Market Street towards St Mary's Gate and Deansgate in 1975, during construction of the Arndale Centre (right). 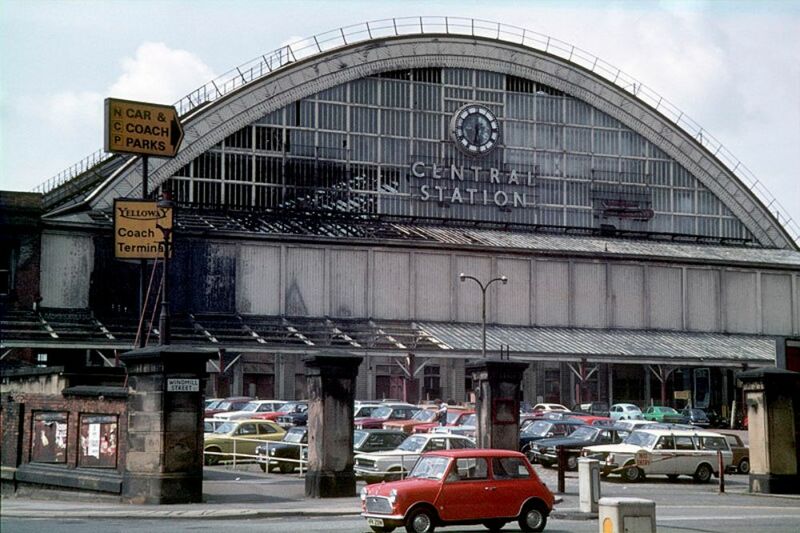 Manchester Central Station from Windmill Street, around 1975. 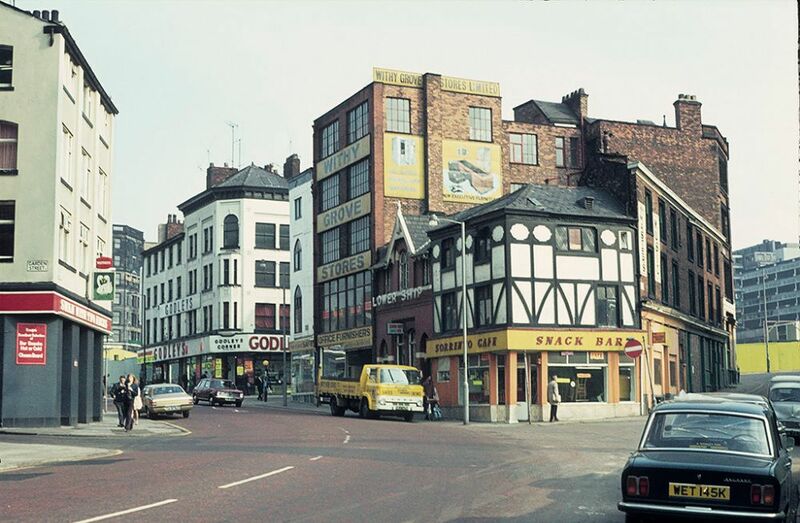 Liverpool Road at the junction with Water Street, around 1975. 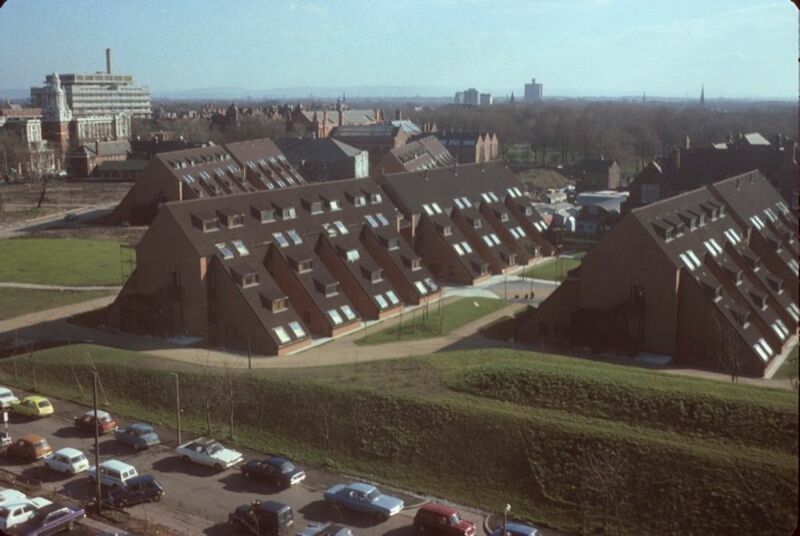 View along Dearden Walk with John Nash Crescent on the right, 1972. 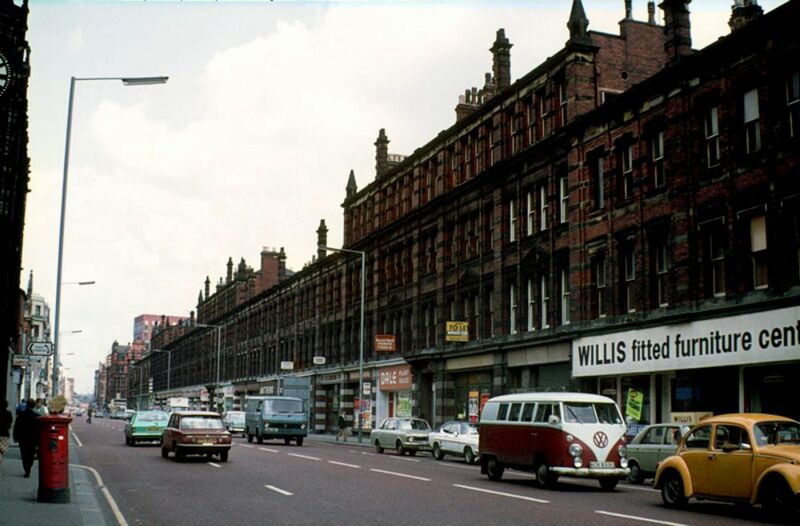 View along London Road looking towards Piccadilly in 1975. 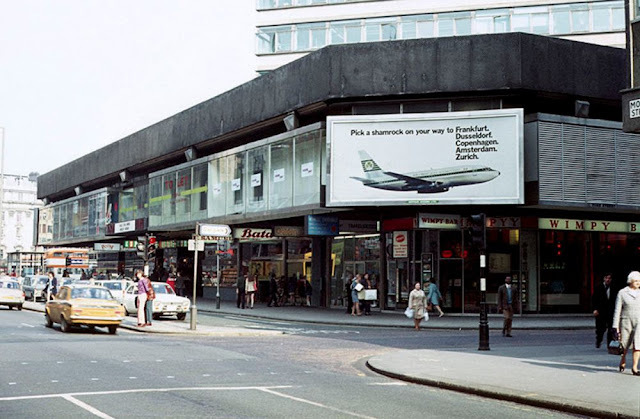 Rising above London Road is Piccadilly Station Approach, with the British Rail office block (right), Gateway House (centre) and Rodwell Tower (left) in the upper half of the picture. 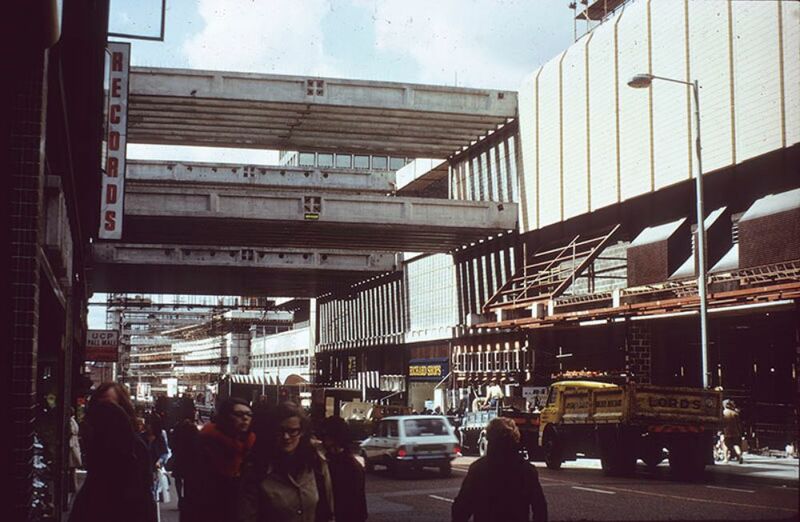 View along Market Street (looking west towards Cross Street), during construction of the Arndale Centre, 1972-79. 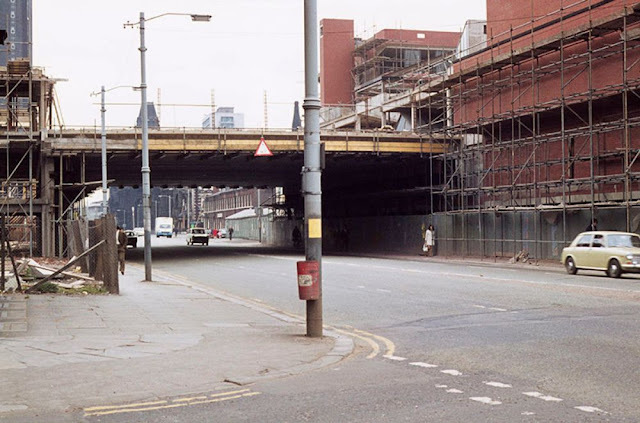 View north along Deansgate in June 1976. 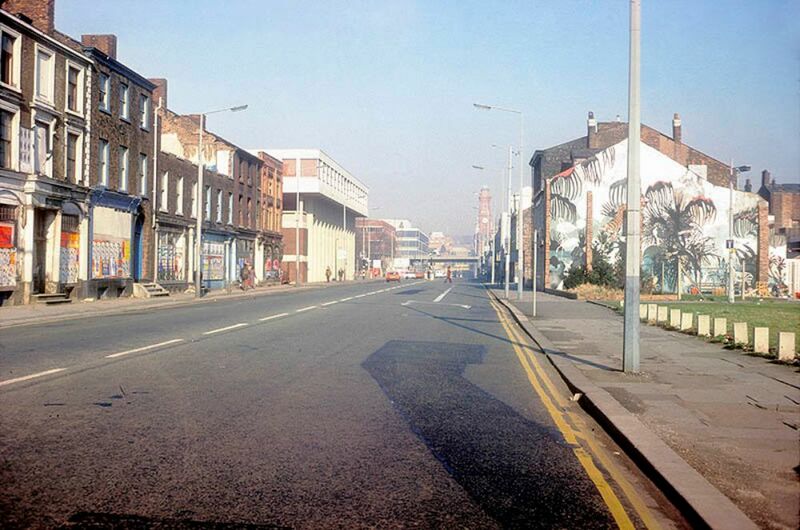 View north along Oxford Road at All Saints, looking towards Manchester City Centre, 1976. The University of Manchester's Whitworth Park student residences in 1976. 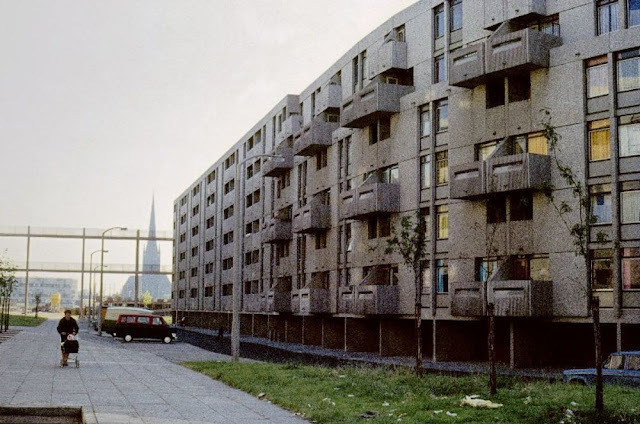 Designed by Building Design Partnership and built 1973-74. 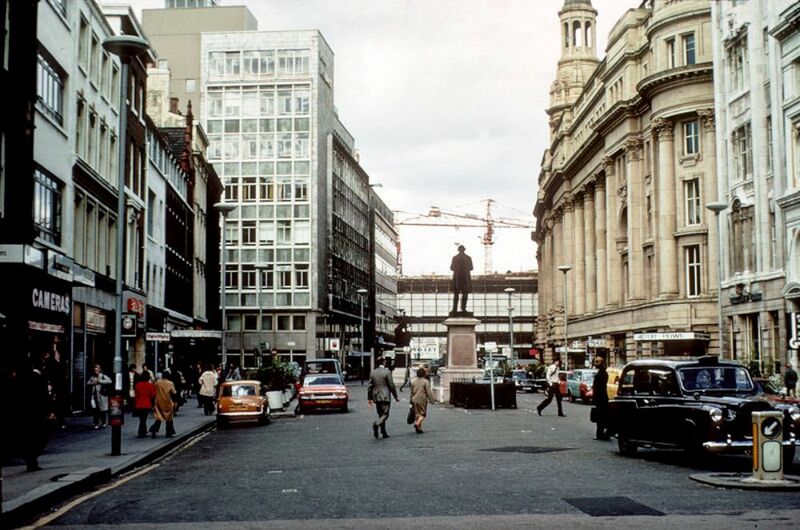 View of St Ann's Square, from the church towards St Mary's Gate in 1976. 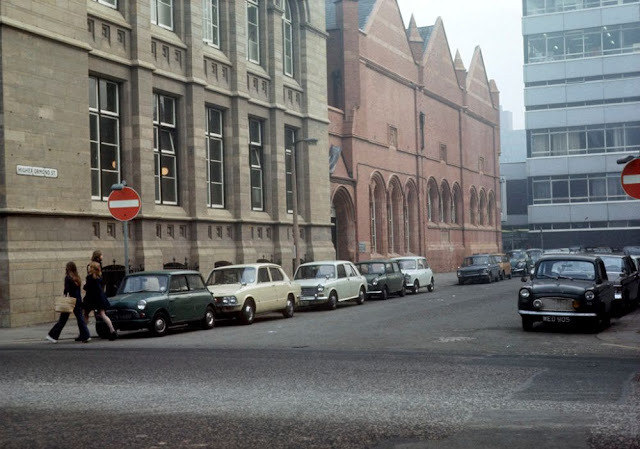 View along Higher Ormond Street with the Grosvenor Building of Manchester Polytechnic's Faculty of Art and Design on the left. 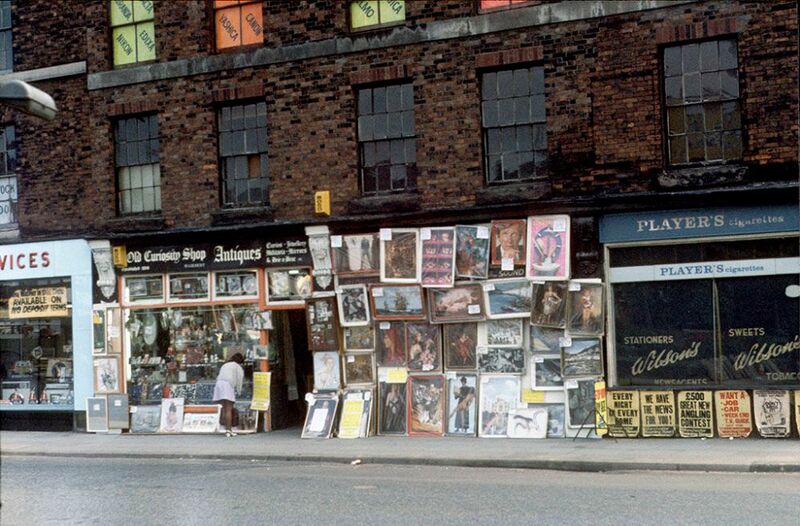 Display of posters and reproduction paintings outside the Old Curiosity Shop on Chapel Street, Salford, September 1973. 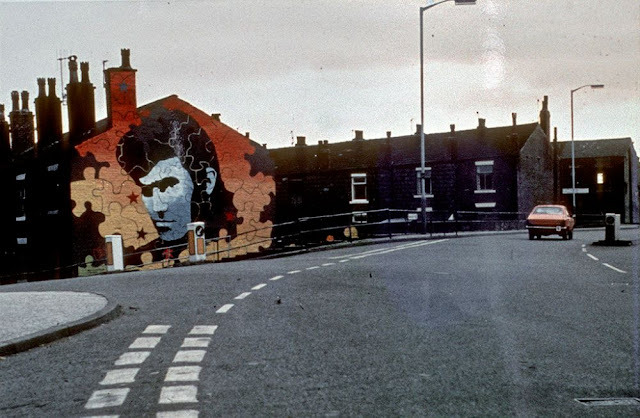 Mural depicting Alvin Stardust on the gable-end of terraced houses in Heywood. 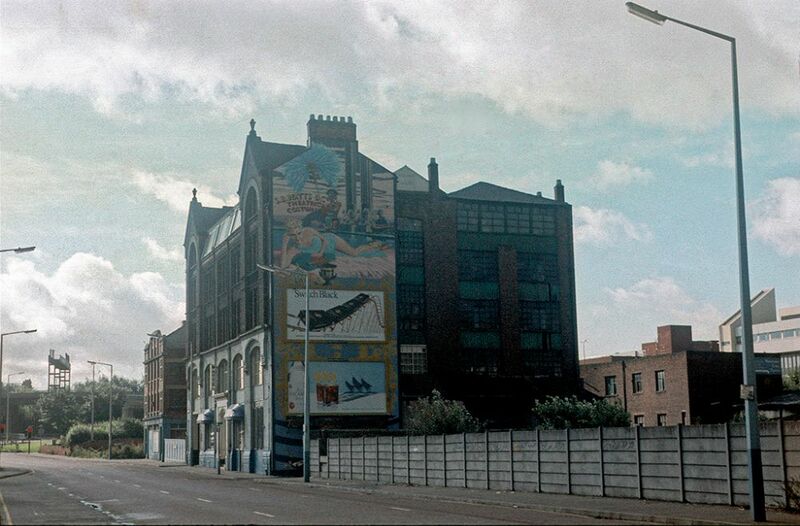 Painted by Walter Kershaw in the early 1970s. 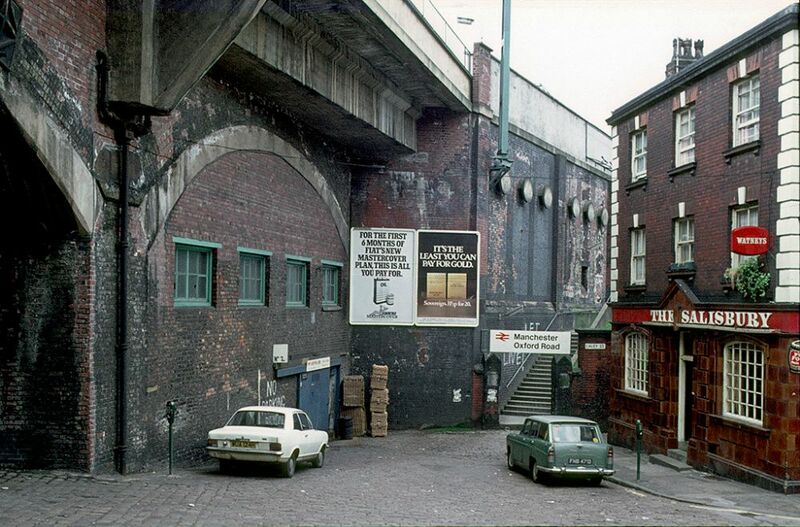 View of Wakefield Street towards Oxford Road Station, around 1974. 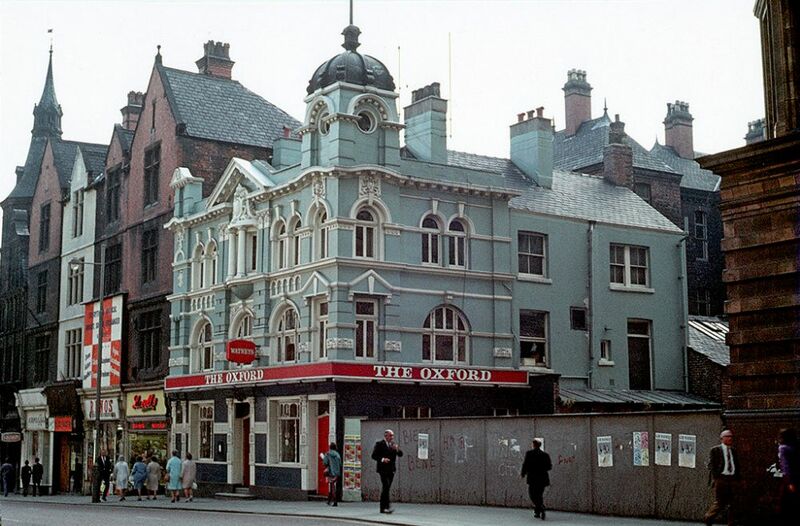 The Oxford public house on Oxford Street, around 1973. 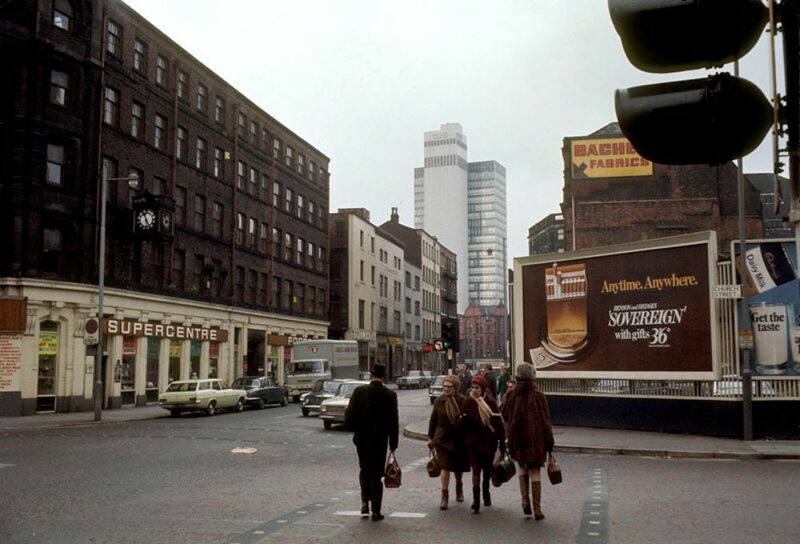 Withy Grove, Manchester, looking towards Shude Hill, around 1972. 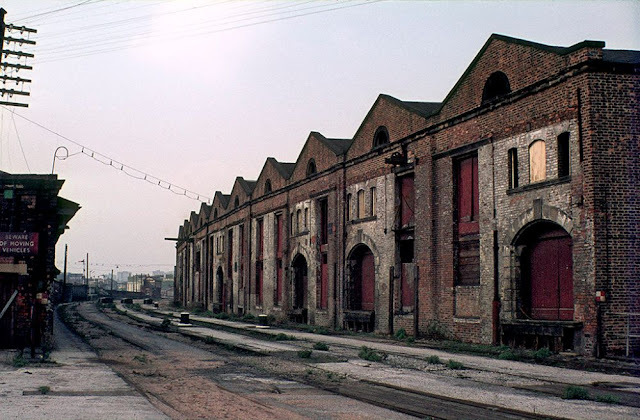 View of the original 1830 warehouse on the site of the Liverpool Road railway station, Manchester. 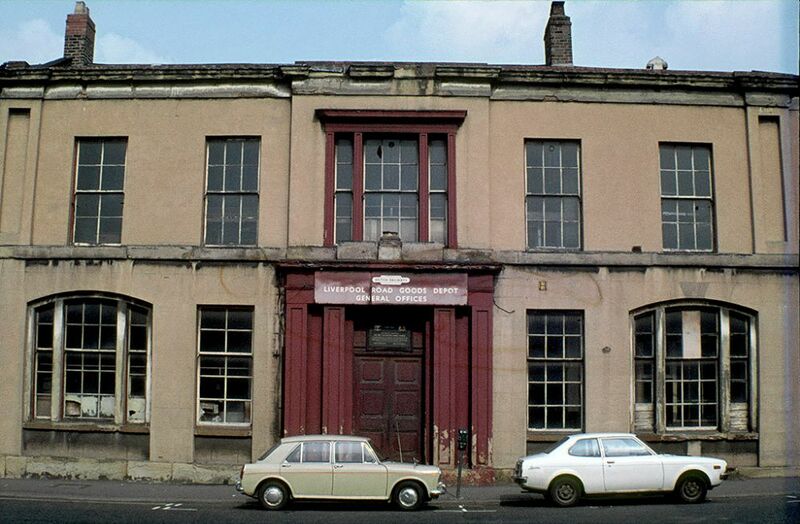 Photographed shortly after the closure of the station in 1975. 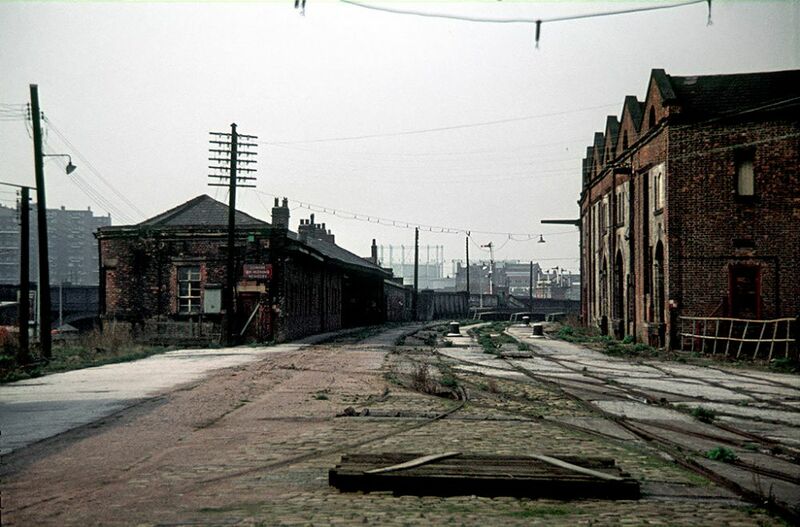 View of the Liverpool Road railway station site in Manchester, showing the original 1830 station building (left) and warehouse (right). Photographed shortly after the closure of the station in 1975. 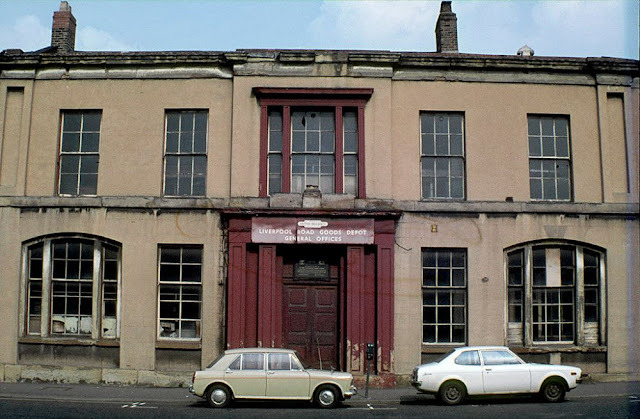 Facade of the Liverpool Road railway station, Manchester, shortly after closure in 1975. 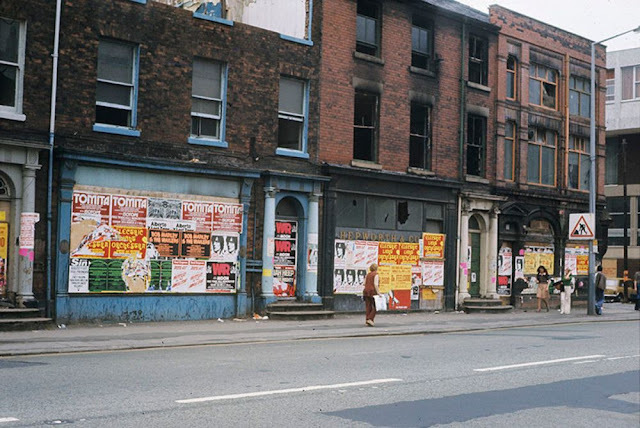 Boarded-up shops (once Georgian houses) on the west side of Oxford Road at All Saints, Manchester, 1976. 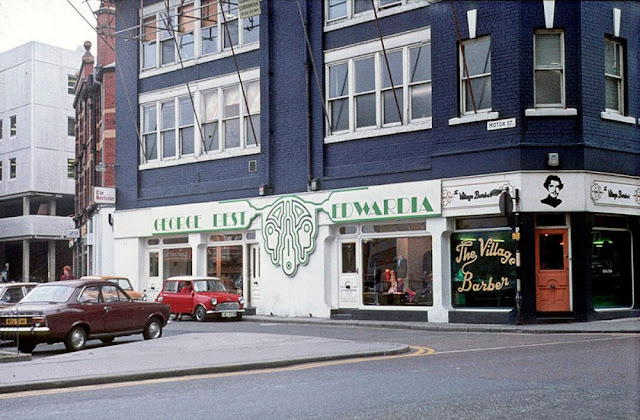 This site is now occupied by MMU's Geoffrey Manton Building. View south along Brook Street (now part of Princess Street) showing Sammy House, the premises of S.B, Watts & Co Ltd, theatrical costumiers. 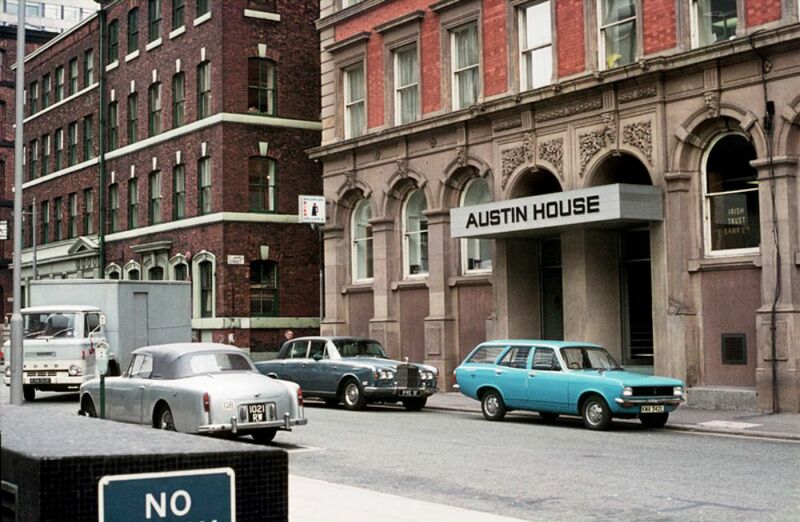 Probably taken in the early 1970s. The rear of Chorlton-upon-Medlock Town Hall during its reconstruction as part of Manchester Polytechnic and the Manchester College of Adult Education in Spring, 1972. Seen from Jenkinson Street, the back of the original neo-classical facade of 1830-31 is visible beyond the newly erected steel frame of the new building.